KOSCIUSKO — A Leesburg man is facing a sexual battery charge after police say he sexually touched a coworker in a workplace bathroom. Jesus Velazquez, 20, 489 E. Armstrong Road, Leesburg, was booked for sexual battery, a level 6 felony. On March 13, an officer with the North Webster Police Department spoke with a caseworker of Kosciusko County Child Protective Services. The caseworker said a female, who was employed at Maria’s House of Pancakes, advised that a male coworker had inappropriately touched her without her permission or consent. An officer with the Kosciusko County Sheriff’s Office spoke with the female victim. The victim told the officer that on March 8, she was cleaning the women’s restroom at work when Velazquez came into the restroom and turned the lights off. According to the female, she turned the lights back on and Velazquez again turned the lights off. The victim advised that Velazquez then inappropriately touched her. The victim stated that Velazquez attempted to have a conversation with her while touching her but eventually left the restroom and motioned for her to be quiet. The female further advised that when she went to clean the men’s restroom, Velazquez again entered the restroom. Velazquez grabbed the victim but heard a noise from nearby and left the restroom. On March 19, the officer spoke with Velazquez, who stated he knew what the officer wanted to talk about. According to Velazquez, he was not working on March 8 but stopped by the restaurant to use the restroom. Velazquez said that the victim was cleaning the bathroom and began to flirt with him. According to Velazquez, he pushed her away while her chest was pointed towards him. Velazquez admitted that he told the victim not to tell anyone because he has a wife and a newborn child and that people will talk. 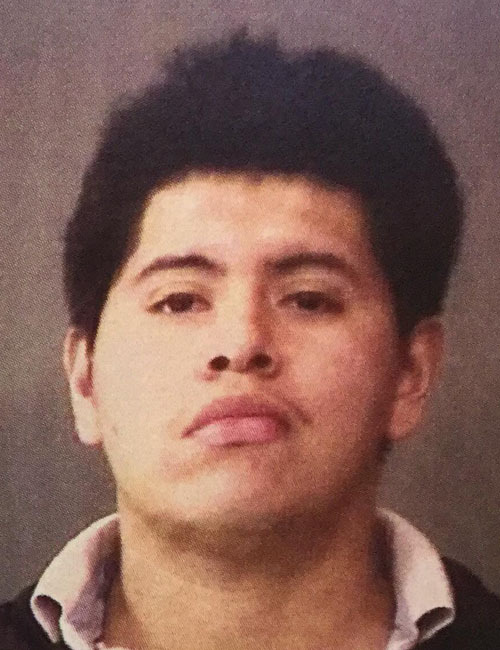 Velazquez was booked into the Kosciusko County Jail on April 12, with a $5,250 surety and cash bond.